Booklist and letter written by Mordekhay Samuel ben Zion Aryeh Gerondi. 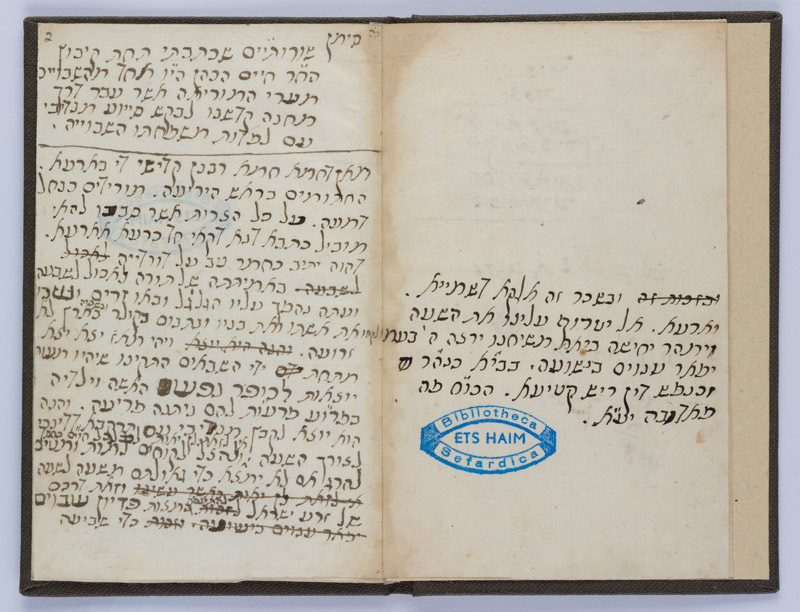 Booklist and letter written by Mordekhay Samuel b. Zion Aryeh Gerondi, Padua 1824.
f. 1: List of six Hebrew books, among which the penitential prayer of Rabbi Abraham Reggio of Goricia. f. 2: Letter to the Jewish congregation of Padua, on behalf of the family of Hayim Hacohen. The name of the writer is written on the last l. with the date 1824. Hebrew / Hebrew / 15,1 x 9,4 cm. /  ff. (last 6 ll. blank) / Sephardic cursive writing / No title.